Look to you right on this page and you’ll see at the bottom of the list of PAGES a new one titled COMO MEDITAR. 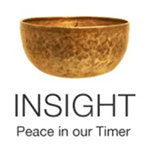 If you, or someone you know, would be more comfortable learning basic meditation instruction in Spanish, please check it out and share the link to the page freely. This entry was posted in begin to meditate, Spanish on July 27, 2013 by Stephanie Noble.